The system is built around a high resolution (570 TV lines) silicone sensor. It provides the night sensitivity close to that of the Gen. 2+ devices. The TV system works within a wide illumination range - from 0,0001 lx (starlight night) to 30 000 lx (sunny day). It features automatic sensitivity control, binocular viewfinder with built-in LCD display and 8 GB memory. 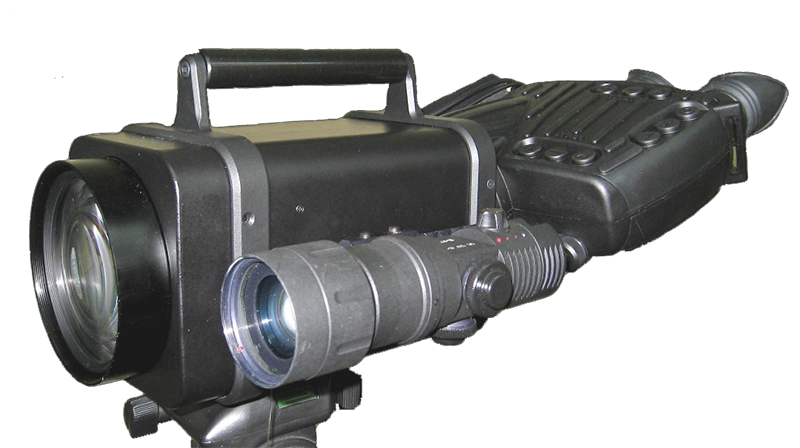 A powerful IR laser illuminator allows the detection of a human figure within 2000 m range and indetification within 300 m range. The TV system has a wide range of use - customs, law enforcement, SAR as well as the amateur use.